“He was diagnosed with Hypophosphatasia (HPP) at ten days old. This condition is an Inherited Metabolic Disorder that is a serious, progressive and lifelong condition that can damage bones and organs. This condition disrupts a process called mineralisation, in which minerals such as calcium and phosphorus are deposited in developing bones and teeth. Mineralisation is critical for the formation of bones that are strong and rigid. During birth Maddox broke several ribs, both wrists and was an extremely poorly little baby. Doctors were unsure as to why he was not improving after birth and following further tests were able to diagnose HPP. 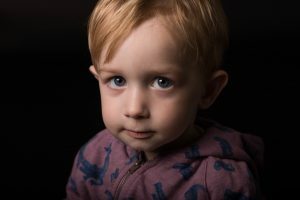 In some ways we were fortunate as they diagnosed his condition early, despite it being an ultra rare condition, and even though they had no experience of the condition his consultants contacted other hospitals to see how best to treat him. One of the biggest learning curves for us was the fact that doctors do not always have all the answers. On the day he was diagnosed I met with two new doctors who I had never met before. They said that they thought they knew what condition Maddox had but did not know for sure until they carried out further tests. The doctors did not want to tell me the name in case I researched it online but they did eventually tell me. My partner, Lewis, was at work and breaking the news to him is possibly one of my worst memories. We had thought that Maddox’s condition was improving and then to be told his diagnosis was devastating. When symptoms occur in children before 6 months of age over 70% of children die before they reach 5 years old. At this stage the outcome looked very bleak. Like most people we were really not aware of the complexity of rare diseases. We all assume that a consultant will diagnose a condition and then know how to treat it but with rare diseases that is often not the case. Our doctor called other hospitals to see if they had treated anyone with this condition and he spoke to someone who had treated a child in Manchester. He was aware of a drug trial that was being carried out in three centres: Manchester, Birmingham and Sheffield. We chose Birmingham and we were transferred there so that treatment could begin. That sounds simple but the reality is very different. We lived down South and so it meant moving to hospital hundreds of miles away from family and friends for 3 ½ months. I was on my own with Maddox most of the time because Lewis had to carry on working. Thankfully we have a strong support network and friends and family were able to visit. The staff at the hospital were really supportive. When we were first told about the drug trial we were really not very hopeful because very little was known about it in our own hospital. The support we received from Birmingham Children’s hospital was wonderful as they were able to tell us so much more about the condition, the impact the trial had on other children and ultimately we knew it was our only hope. Without this drug – asfotase alpha – he wouldn’t be here today. He was such a poorly baby and they had even discussed the possibility of needing to intubate him to help him breathe and they put him in a different cot in case he needed to be resuscitated. The treatment has been amazing though as within just a short amount of time we noticed a difference in his breathing and his strength. We have to inject Maddox three times a week. This in itself can be traumatic as he is too young to explain why we have to do this and it takes two of us to do it. One to hold him and the other to inject. It is a small price to pay for seeing him running around and playing like any other two year old. Maddox also has a feeding tube and this can sometimes cause problems especially in social situations where meals are involved. We really don’t want him to miss out and we wish there was greater awareness of rare diseases and their impact. In the early days it was all about how to get through the next day. First there was the trauma of his birth, then diagnosis and then the start of the trial and the huge improvement in his condition. We never really looked to the future or even considered the possibility of the trial coming to an end, however this became a reality. We were informed that the trial was coming to an end and the drug company were in talks with NICE (National Institute for Health and Care Excellence) to discuss if they would fund this treatment. We were extremely worried about what the end of this drug trial would mean for Maddox. We had been told that if he came off the drug he would deteriorate and his bones would stop growing. He would likely need to use a wheelchair and get more tired. His consultant believed there is a strong possibility that he wasn’t yet strong enough for his body to cope and there was even a chance he could die should treatment be halted. It is possible that as Maddox grows and develops he may reach a point where he is strong enough to cope without the drug but we have to get him to that stage. In these early days, for a child who has the condition as severely as Maddox, this drug treatment is our only hope. As parents all you want is the best for your children, rare diseases by their very nature are extremely complex and as such it takes a huge team to ensure the very best treatment path is open to you. As a family we were supported by Climb throughout this process as they are an official consultee to NICE for patient experience, to ensure we are represented. Fortunately for Maddox, NICE made the decision to continue to make treatment available for all perinatal infantile and pediatric-onset cases of the disorder under the Managed Access Agreement criteria.